Length: 6 hrs. 54 min. In our day of celebrity worship and online posturing, this is a refreshing, even transformative way of understanding God and our place in his creation. It urges us to treasure a life of simplicity, to love those whom the world passes by, to work for God's glory rather than our own. And it demonstrates that God has always been the Lord of the cross--a Savior who hides his grace in unattractive, inglorious places. 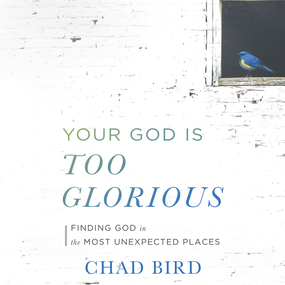 Your God Is Too Glorious reminds readers that while a quiet life may look unimpressive to the world, it's the regular, everyday people that God tends to use to do his most important work.